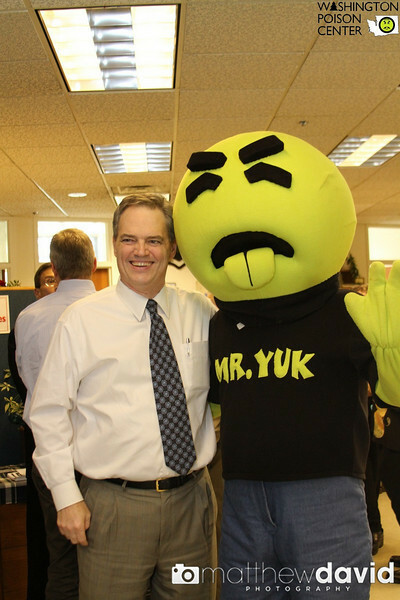 Mr. Yuk came by to lobby for the poison control center in the budget. It’s easy to get attention when you wear crazy costumes, though it looks like it’s difficult to get through doorways. I spend a lot of time at my desk, but he got me out of my office. I’m glad I don’t have to wear his costume – it looked hot.